Football accumulators are fun to place when you are gambling. I used to do these years before I knew about matched betting. I would go to William Hill with a few quid and pick 10 teams in the hope to try and make £10,000 from my £1 bet. Of course, I occasionally won £35 from £1 but never anything near £10,000. Put simply football accumulators when gambling do not work. If you came to this page looking for some tips, sorry to disappoint but the only tip I can give you is to avoid gambling with accumulators as well as gambling altogether. The best site for football accumulators information that I have come across is without a doubt Oddsmonkey. They have excellent accumulator refund software which enables you to actually make money from accumulators without the need for any gambling. Instead there is no risk and money to be made. I would rather make a guaranteed £8 from a £50 accumulator than risk my £50 every time to try and make £10,000. If you use hope as a financial strategy you will get burned that is for sure. When you are gambling, you are hoping for all teams to win and this is out of your control. At least when matched betting with accumulators, you can control the risk via using Smarkets by laying each selection. The accumulator refund software will also tell you what lay stake you need to lay on the next selection whether they win, lose or draw. The accafinder Oddsmonkey has created is one of the best pieces of matched betting software I have come across. It will find the best combination of football teams to use together to form an accumulator as well as comparing these odds with the exchange lay odds. This is what the accafinder looks like. Once you click the refresh button, the software will scan the odds of all the bookies you have selected and rank them in order of which one will make you the largest profit. It can easily find 100,000 different accumulators at the click of a button. This is why it’s better to use the software than go it alone. Imagine how long it would take you to manually find and calculate 100,000 different accumulators, it would probably take years non-stop! I would rather spend £15 a month for some software to do all the hard work for me as opposed to spending my time searching for them manually. Time is limited; money is unlimited. So it would be a wise decision to use Oddsmonkey for your accumulator betting. This is another example of an accumulator I did back in May 2017 around the time of the FA Cup Final between Arsenal and Chelsea. As you can see, it didn’t matter what the result was in the final (although Arsenal ended up winning) I made £31.76 regardless. I will now go through this example to show you how money is made from accumulator betting in the matched betting game. So using the above example, we have placed a £50 stake at Paddy Power at odds of 5.18. This means if the accumulator wins, we will have £259.00 approximately in our Paddy Power account. So we deduct the liabilities. These are £12.48, £22.62, £18.38, £21.31. So £74.79 altogether. As Chelsea lost the final, we will have won our £118.93 lay stake in Smarkets. So after commission we will have won £116.55 from Chelsea losing the FA Cup Final. We will then receive a £50 free bet from Paddy Power as one selection has let us down on this occasion. Assuming we retain 80% of the free bet we will have £40.00 because the free bet will be £50.00. Adding all this together: £116.55+ £40.00 – £74.79 – £50.00 = £31.76 (to two decimal places). This is what the software says also, so you can be sure this matched betting software works. Doing this accumulator took me all of 5 minutes to do. 5 minutes work for £31.76, not a bad return is it? Think of all the people out there who work for a living, how long would it take them to earn £31.76 after tax? We can safely say as lot longer than 5 minutes. I have found the best sites for football accumulators are a mixture of the good bookmakers out there. Paddy Power would be the best as you can bet £50 4 times a day and make around £8 profit for every £50 accumulator with them. They have the best odds which is why the profit potential is the largest. Their site is also easy to use and navigate around meaning you can get your accumulator bets on quickly. Other sites include Ladbrokes and William Hill where you can make £5.00 for every accumulator you place. You can receive one accumulator free bet each day with these bookmakers and doing one a day with these two bookies can easily make you £300 a month. Of course as I have mentioned the best service to use would be Oddsmonkey. The information you can get from their accafinder software will help you to make a handsome profit from their site every month just from accumulator betting. 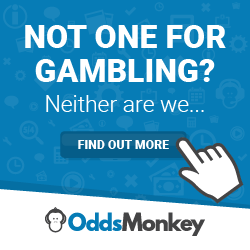 This is without the other benefits of using Oddsmonkey. I made over £4,000 in March 2017 and this mostly came from accumulator betting. This is a much better return that you could imagine to get from a so called “social media tipster” or an “amazing accumulator tipster service” where you pay a monthly fee to receive tips from them. These tipsters make their money from affiliate links and their membership fees they charge and not on the accumulator tips they post. So don’t be fooled. The only membership you should use for accumulators is Oddsmonkey and the exciting thing is this will make you money. The best sites for football accumulators are certainly not the tipster services that exist out there on the web. I place my own football accumulators across 3 well-known bookies and this is because they provide the best value compared with other bookies. If you are using a tipster service to try and make money from accumulator betting, I imagine you aren’t doing very well and have a string of many losses. Meanwhile the person giving you these tips will be gladly profiting from your membership fees or disguised affiliate links at your expense. So my “tip” would be to cancel any membership you have with these social media tipsters and use a reputable service like Oddsmonkey where you will make money every time you place an accumulator. Win, lose or draw! Paddy Power no longer offer this for the upcoming 2018-19 season. HI Corkie, really appreciate the info & ideas on your site. If you’re doing one acca a day with a bookie and a number of them have just one leg fail (so you get a lot of freebets), are you more likely to get gubbed from that bookie? So should you rotate the bookie that you use? What about boosted acca’s – should they be used sparingly like you suggest with other bet boosts? Have not been match betting that long, in a couple of months managed to make over £1k from an initial £150, so now looking to find other ways of getting value. There are no exact sciences when it comes to gubbed accounts really.